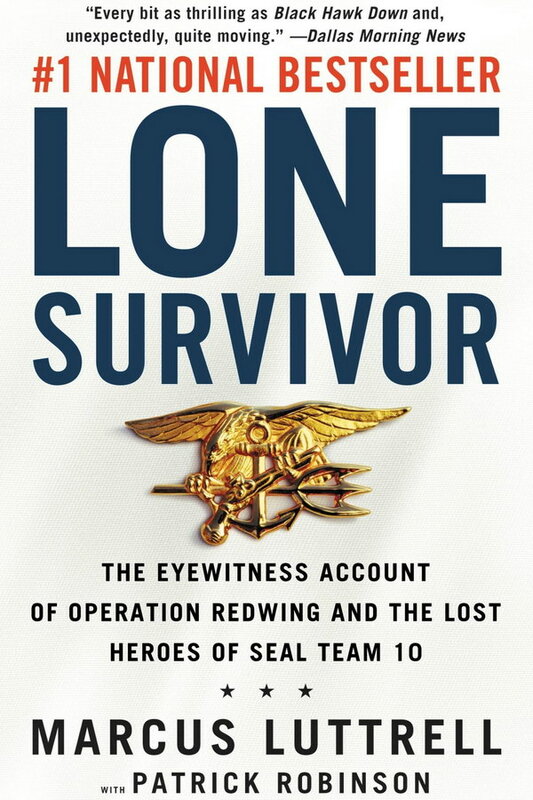 Lone Survivor font here refers to the font used on the cover artwork of Lone Survivor: The Eyewitness Account of Operation Redwing and the Lost Heroes of SEAL Team 10, which is a book written by Marcus Luttrell. The font used for the book title on the cover is probably Trade Gothic Pro Bold Condensed #20 designed by Jackson Burke in 1948. The font is a commercial one and you can view more details about it here. In addition to Lone Survivor, Trade Gothic typeface is also used in the following logos, movie posters or album covers etc., including: Starships, Feels Like Carolina, United Way, YouTube, Nautica, The 40-Year-Old Virgin, Bohemian Rhapsody, Survivor Series, Rid of Me, Underclass Hero, Ben Behind His Voices, Trouble with the Curve, Catfish: The TV Show.